Sydney is known for nightlife, trails, beaches, parks, and museums. 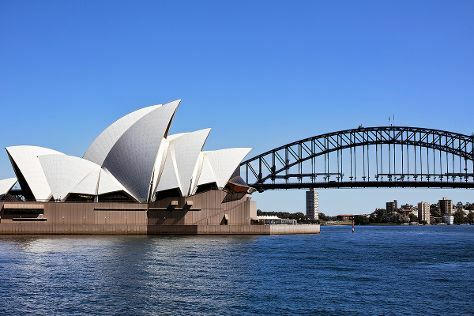 Your plan includes some of its best attractions: don't miss a visit to Sydney Opera House, admire the natural beauty at Royal Botanic Garden Sydney, wander the streets of Darling Harbour, and kick back and relax at Manly Beach. For photos, traveler tips, reviews, and more tourist information, read Sydney trip itinerary builder website . Orlando, USA to Sydney is an approximately 25-hour flight. You can also do a combination of flight and bus; or do a combination of flight and train. Traveling from Orlando to Sydney, you'll lose 15 hours due to the time zone difference. Prepare for slightly colder weather when traveling from Orlando in May: high temperatures in Sydney hover around 70°F and lows are around 54°F. Finish up your sightseeing early on the 8th (Wed) so you can travel to Whitsunday Island. 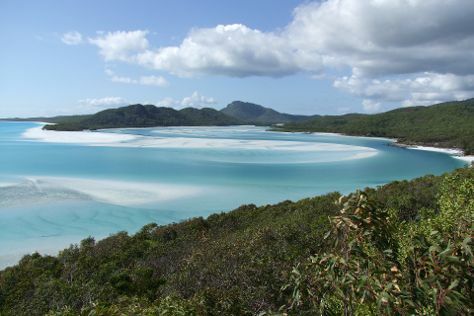 On the 9th (Thu), explore the activities along Hill Inlet and then kick back and relax at Whitehaven Beach. For photos, other places to visit, maps, and other tourist information, read our Whitsunday Island tour planner . Fly from Sydney to Whitsunday Island in 4 hours. Alternatively, you can do a combination of flight and bus; or take a train. Plan for a bit warmer temperatures traveling from Sydney in May, with highs in Whitsunday Island at 79°F and lows at 61°F. Cap off your sightseeing on the 9th (Thu) early enough to travel to Port Douglas. Spend the 10th (Fri) among aquatic life with a scuba or snorkeling tour. Spend the 12th (Sun) spotting exotic species with a safari tour. There's still lots to do: relax in the rural setting at Hartley's Crocodile Adventures, learn about wildlife with up-close encounters at Wildlife Habitat Port Douglas, and indulge in some personalized pampering at some of the best spas. To find more things to do, ratings, other places to visit, and more tourist information, use the Port Douglas trip planner . You can do a combination of flight and shuttle from Whitsunday Island to Port Douglas in 4 hours. Alternatively, you can do a combination of bus, flight, and shuttle; or take a train. Traveling from Whitsunday Island in May, you can expect nighttime temperatures to be somewhat warmer in Port Douglas, with lows of 69°F. Finish your sightseeing early on the 12th (Sun) to allow enough time to drive to Cairns. On the 13th (Mon), take a tour by water with Boat Tours & Water Sports. Get ready for a full day of sightseeing on the 14th (Tue): hike along Esplanade Boardwalk, let the kids burn off some steam at Muddy's Playground, and then take in nature's colorful creations at Botanical Gardens. Traveling by car from Port Douglas to Cairns takes 1.5 hours. Alternatively, you can take a bus; or take a shuttle. In May, daily temperatures in Cairns can reach 82°F, while at night they dip to 69°F. On the 15th (Wed), wrap the sightseeing up by early afternoon so you can travel back home.